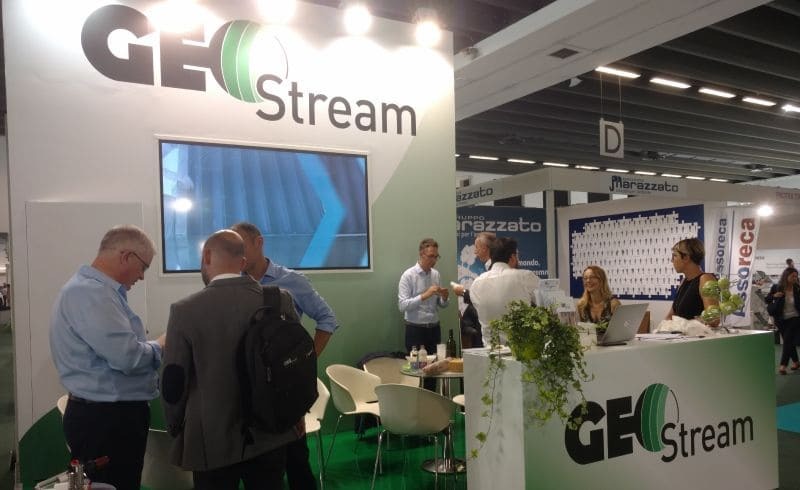 It’s been a busy period for Geostream UK, with our team exhibiting at industry events everywhere from Birmingham to Northern Italy. Amongst dozens of coffees and the odd wrestle with a pull-up banner, we’ve enjoyed insightful presentations and the chance to catch-up with the brownfield industry’s finest. A forum for the world’s foremost remediation experts, RemTech has long been an important event in our company calendar. This year we once again joined Geostream Italy to discuss how remediation system design is evolving. Working from our Italian manufacturing facility, we’re using 3D design software and years of experience on international projects to create bespoke process plants that can be shipped anywhere in the world. For international environmental consultants, this means getting a standardised remediation system they trust delivered to any site they’re working on globally. As headline sponsor of this year’s Brownfield Briefing conference, alongside our chemicals partner, Carus, we decided to tackle a sometimes-frustrating topic – measuring Light Non Aqueous Phase Liquid (LNAPL). Measuring the thickness of oil on water is notoriously difficult, often requiring multiple trips to site, yielding poor repeatable results and risking cross-contamination. To help remedy this, we’ve introduced NAPLsense – a continuous monitoring device that not only accurately measures LNAPL, but also transmits its findings in real-time. NAPLsense uses guided microwaves to detect the three parameters associated with measuring LNAPL – air, oil and water. The devices can be solar or wind-powered, and work well in tidal situations. In fact, NAPLsense helped Arcadis win a Brownfield Briefing Award for Best Scoping Operation of a Site Investigation later that evening. NAPLsense had been used to accurately measure LNAPL in wells situated next to an estuary, where water levels would rapidly fluctuate. Having completed her PhD at Queen’s University Belfast, our technical director, Dr Olivia Hall, returned to her alma mater to participate in a discussion on how we can improve remediation practices and sustainable management of contaminated land. This included learning more about the university’s fascinating research into bio-accessibility and bio-availability - key elements for the future of risk assessment for contaminated land. Back in the midlands, our managing director, Dr Chris Evans, joined the University of Wolverhampton’s new Brownfield Research and Innovation Centre (BRIC) to showcase remediation innovation in the Black Country. We’re planning a joint research project BRIC in 2019 to support the development of new remediation solutions – more to come soon.